I love this blog. It's where I go when I need new ideas. It's where I go when I want some delicious. My friend Marie over at the English Kitchen has the best recipes on the Internet! Go take a peak and let her know Welcome Home sent you! 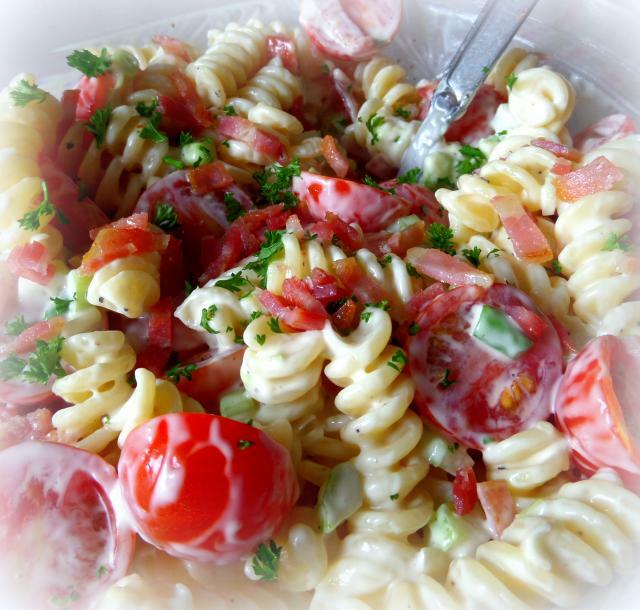 All the flavors of my favorite tomato bite appetizers in a pasta salad. Scrummy yummy! Cook your pasta according to the package directions. Drain well. Rinse in cold water and drain again. Set aside. Whisk the mayonnaise, blue cheese dressing, vinegar, sugar, salt and pepper together in a serving bowl. Stir in the spring onions. 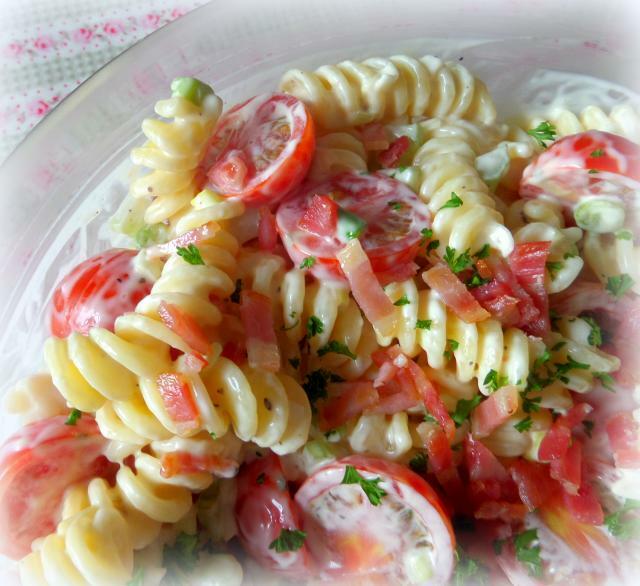 Add the cooked pasta and cherry tomatoes. Toss to coat well. Cover and chill for at least an hour. Remove and stir in 3/4 of the bacon. Sprinkle the remainder on top along with some chopped fresh parsley. Serve. 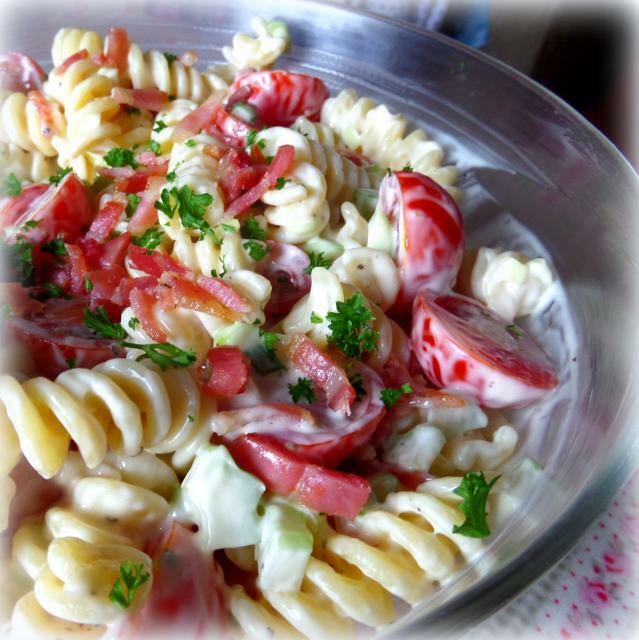 For more wonderful recipes from Marie, go to her blog at The English Kitchen!